Dealing with a broken down car, truck, motorcycle, commercial vehicle and looking for 24 hour professional towing or roadside assistance near Canoga Park? E-Z Towing Service Canoga Park specializes in offering cheap Canoga Park towing and roadside assistance to drivers in need urgent emergency service. Our technicians will arrive with a sense of urgency to get your vehicle towed anywhere you need it to be, or serviced on the spot to get your car running again. Speak with our live 24 hour operators anytime you seek cheap Canoga Park towing or roadside assistance. 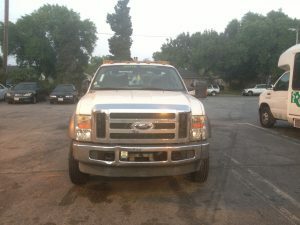 Professional Canoga Park Towing Made Easy! Canoga Park Towing offers fantastic towing for your vehicle, no matter how far or nearby you are. We've been the #1 towing company in all of Southern California for 6 years in a row, and we're proud to be able to provide your vehicle with towing. We offer flatbed towing, wheel lift towing, motorcycle towing, commercial towing, heavy duty towing, long distance towing, and also roadside assistance. If you need a jump start, lockout, or even a tire change, we have you covered via our roadside assistance services. 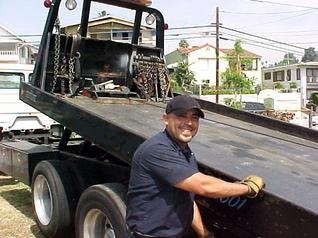 E-Z Towing Canoga Park is here to bring you top notch towing service that is available 24 hour a day. We provide afforable towing in Canoga Park anytime you face vehicle issues on the road. We provide all necessary tow needs for our customers across Los Angeles County, Orange County and the Inland Empire. We make it our duty to take care of people in dire need of our services. We service all kinds of vehicles: luxury cars, heavy duty trucks, lockout services, jump start service, flat tire change. We offer light duty towing services for potentially all vehicles as well. Give us a call today at (818) 671-0061 for a complete list of our services.